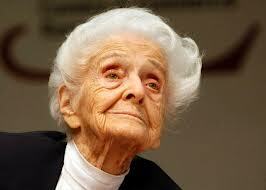 Thanks to UniteWomen.org, today I learned about another remarkable woman, Rita Levi-Montalcini, who changed science. Her life served as yet another example of the achievements women can and do make when given opportunity and encouragement. Levi-Montalcini enrolled in medical school in 1930 despite her father’s objections (who believed that the role of a woman was to be a wife and mother, not an academic). She earned a degree in medicine and surgery, but her post-graduate career was cut short when Mussolini issued his “Manifesto of Race” which barred those of Jewish descent from professional careers. Rather than fleeing the country, Levi-Montalcini chose to stay in Italy and continue her work alone. She built a small research unit at her home and installed it in her bedroom. She spent time on her research and as a physician during the war, and then returned to academic life afterwards. In 1947 she joined Washington University and became a full professor there in 1958. In 1962 she established a research unit in Rome, splitting her time between there and St. Louis, and in 1969 she became the Director of the Institute of Cell Biology of the Italian National Council of Research. In 1986, Levi-Montalcini and Stanley Cohen were awarded the Nobel Prize in physiology or medicine for isolating Nerve Growth Factor from tumor cells. Although she officially retired in 1977, she never truly stopped working as a scientist or an educator. Eight years ago she founded the European Brain Research Institute (EBRI) in Rome. She (with her sister Paola) also founded the Rita Levi-Montalcini Foundation, which focuses on the education of girls and young women in Africa. In 2001 she was appointed an Italian Senator-for-life. More on Levi-Montalcini’s life, achievements, and dedication to science here. After watching the movie, Cheaper By the Dozen, about Frank and Lillian Galbreth, I was curious to learn how much of the movie was fiction and how much was truth. While doing a google search, I came across a website celebrating little known but great women scientists. 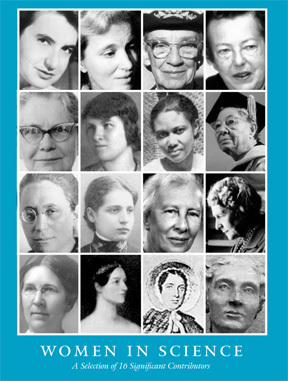 features 16 female scientists from earlier eras who made significant contributions in a wide range of scientific fields. Most, if not all, of these women are unknown and little celebrated, having studied and worked in eras not friendly to women in scientific careers. Nevertheless, each made scientific discoveries that have been often obscured by history or attributed to their male counterparts. Each of these women is worth discovering, especially by girls and young women. Feedback is like climate change on crack. Methane release wack : feedback! 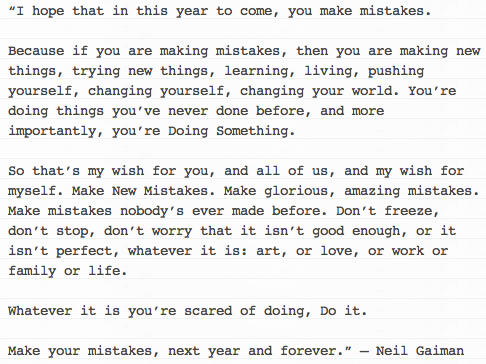 Write a letter then burn it: feedback! Even as the U.S. faces enormous global economic competitive challenges to our standard of living, high school and college graduation rates are falling. 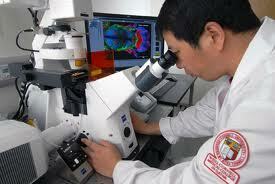 Per capita, China has more college graduates in science and technology than the U.S., according to recent statistics. U.S. graduation rates already behind the small, third wold county of Kazakhstan. And the U.S. has fallen to fourth place in worldwide innovation statistics. Not that long ago, the U.S. led in high school and college graduation rates and was the world leader in scientific discoveries and technological innovation. It’s what made America economically strong and vibrant…the world class leader. That is who we’ve been since the beginning of the Industrial Revolution. Every American knows gloomy these statistics. We’ve heard them over and over again. But just when we need to boost our national science and educational standards, the great leader of the far right, Rush Limbaugh, has taken aim against science and education. The four corners of deceit: government, academia, science and media. Those institutions are now corrupt and exist by virtue of deceit. That’s how they promulgate themselves; it is how they prosper. Our country cannot afford to allow this anti-science, technology and education rhetoric to continue while still expecting to support a vibrant middle class and entrepreneurial society far into the future. Is a truly uneducated, ignorant America how we want our children are to compete in a globally competitive economy that requires superior knowledge of science, technology, and creative innovation? After Limbaugh’s rant against science, Nature Magazine commented with a strong riposte against Limbaugh’s anti-science, anti-education rant in favor of ignorance. If we, as a proud forward-leaning, innovative country, do not fight against this propagation of ignorance by right wing media pundits, our children and grandchildren truly will find themselves living in the world’s largest third world country. Is that what you seek for your children and grandchildren? The anti-science strain pervading the right wing in the United States is the last thing the country needs in a time of economic challenge. “The four corners of deceit: government, academia, science and media. Those institutions are now corrupt and exist by virtue of deceit. That’s how they promulgate themselves; it is how they prosper.” It is tempting to laugh off this and other rhetoric broadcast by Rush Limbaugh, a conservative US radio host, but Limbaugh and similar voices are no laughing matter.